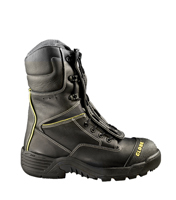 Built with Globe's unique athletic footwear construction for remarkable flexibility, TECHNICAL is quad-certified to be the perfect complement to your Structural Boots. 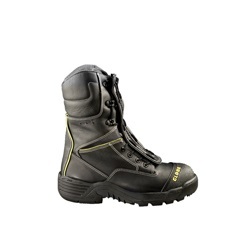 The exclusive PORON® XRD™ metatarsal guard provides impact protection you'll hardly even feel. NFPA 1951 (Technical Rescue), NFPA 1977 (Wildland), NFPA 1992 (Liquid Splash), and NFPA 1999 (Emergency Medical) compliant. Available in Men's and Women's full and half sizes and regular and wide width.